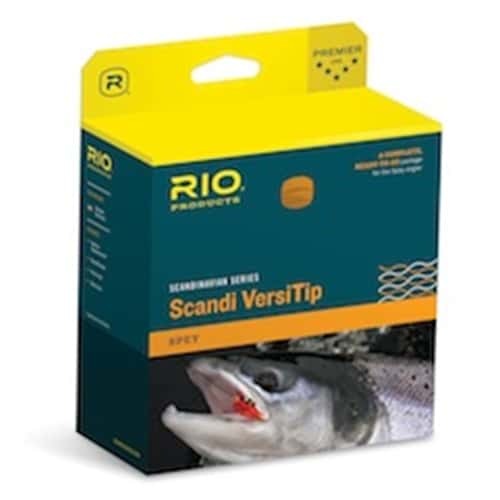 The Scandi Short VersiTip is an interchangeable tip Scandi head, complete with four interchangeable 10ft tips. The head is a blend of Skagit power and Scandi grace, and anglers can switch between heavy sink tips and MOW tips for throwing big flies, or more tapered “Scandi” tips for presentation situations. It is an extremely easy line to cast and perfect in the tightest of situations, on small rivers or with shorter rods. This 10 ft tips included are floating, clear intermediate, type 3 sink (3-4 ips) and type 6 (6-7 ips).